Yes we are finally here! Though it took a lot of kilometres, a lot of setting up tents and packing them away and it took a while to truly realise that listening is a gift our country cannot go without! Today we unpacked the reality that many Aboriginal Australians live in two worlds – that of tradition and culture and the world of dominant culture Australia or white fella rules. Without listening it is hard to understand just how complex this two world life can be! Yet – today Pilgrims realised that if we ALL listened and sought understanding our communities could be a much kinder place for everyone! 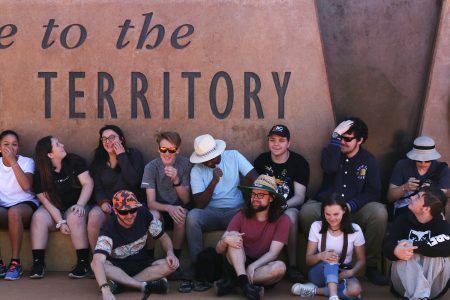 By the afternoon we had arrived at Yulara, Uluru – our Vic/Tas Pilgrims joined with Pilgrims from the other states! 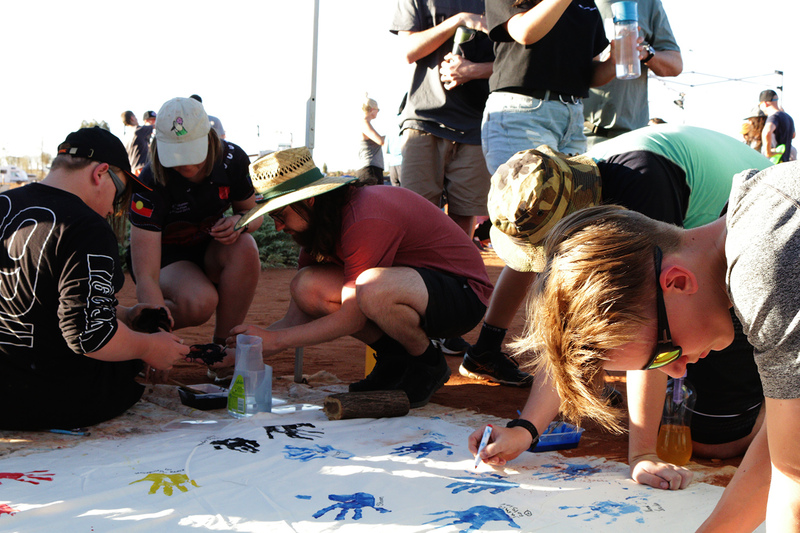 It was a little nerve wracking at first – being all piled into a vintage circus tent, though before you knew it we were playing games together, singing, learning and hearing from Anangu elders. We are all in this together, we all want to be a part of helping our communities be that kinder place and it is so exciting!